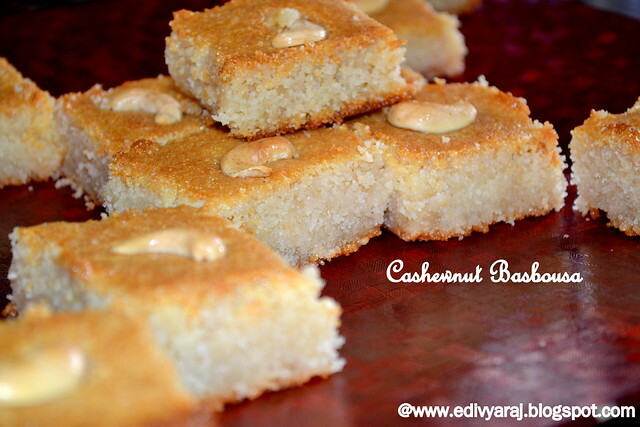 Hello everyone i m back to my blog after 1 year. 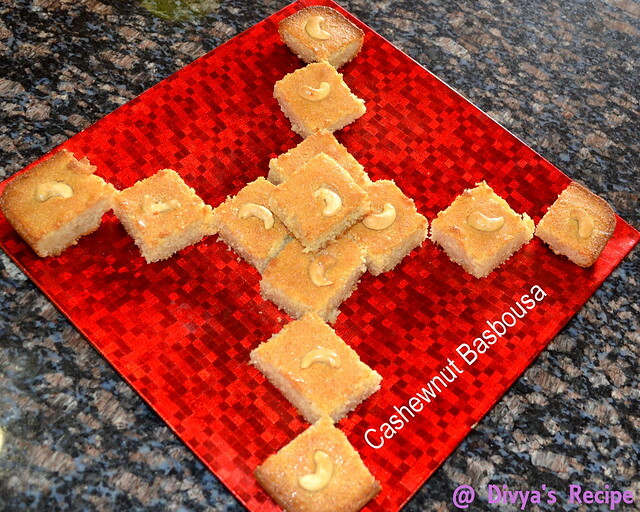 Sorry for the break,A good news to share with you all that we blessed with a baby girl, i m full busy with my little,cutesie, naughty princess Jashritha.I missed all your lovely recipes, there are lot of recipes are waiting to share with all. 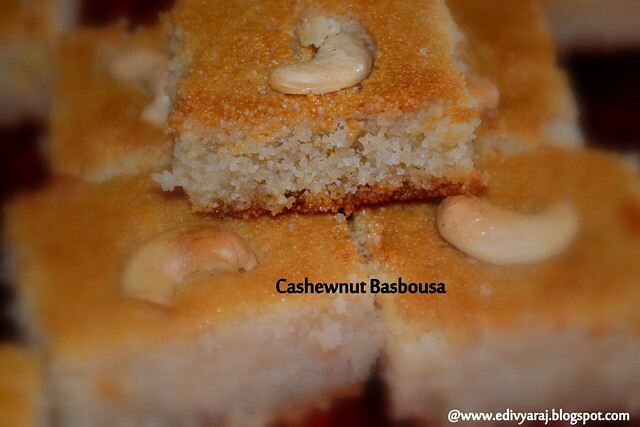 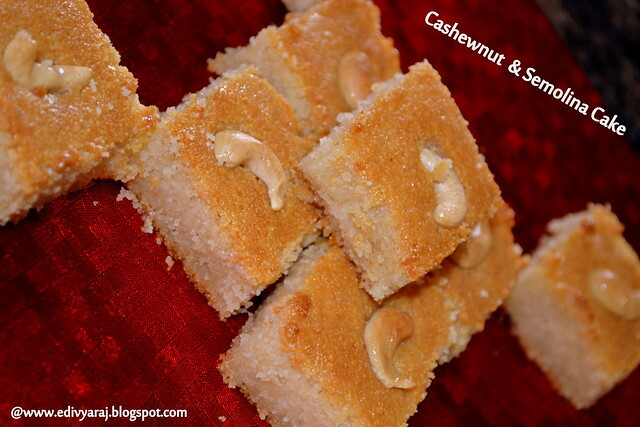 Anyways today i came with a Egyptian special dessert , that is Basbousa.It is basically semolina cake that has been soaked in a sugar syrup.But i add cashew nut powder more flavor i added.try and let me know how it it. 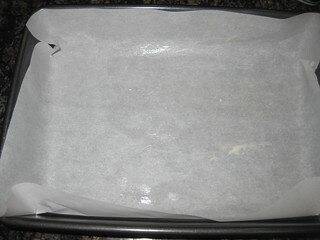 First take a pan dry roast the rava for 5 minutes. 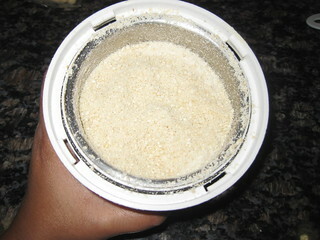 The grind the cashew nuts in blender make into coarse powder. 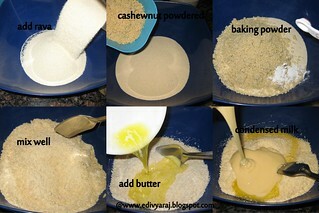 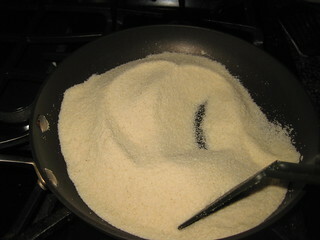 In a bowl, take semolina,cashew nut powder,baking powder,melted butter,condensed milk and milk in a bowl, mix well.Keep it aside for 10-15 minutes. 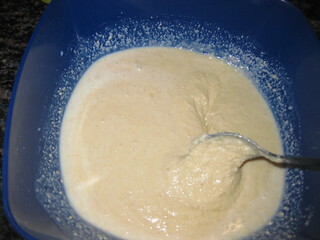 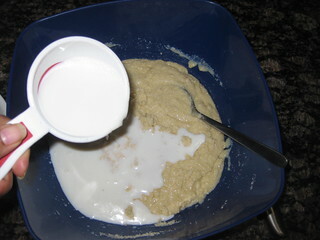 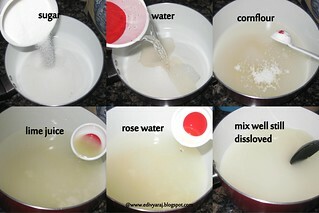 If the mixture is too thick,add a little milk. 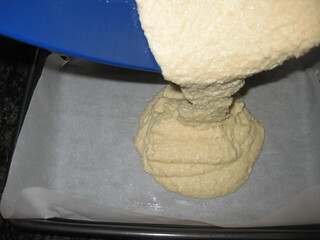 Transfer the dough into a well greased baking pan or placing parchment paper and level the dough using your fingers/ spatula. 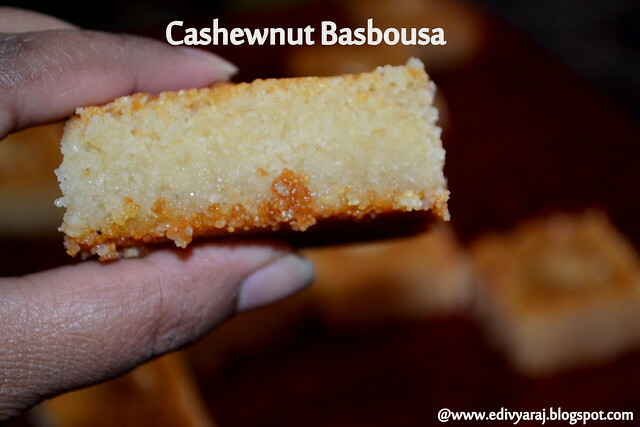 Bake for 20 minutes.Take out the baking pan using your oven mitts.Now cut the partially bake dough to squares or diamonds.Press an almond or cashew nuts you prefer onto each square.Now return the baking dish back into the oven and bake for another 13- 15 minutes till the edges are brown.Now put it on broil mode for 2-3 minutes so that surface will turn golden brown.Take it out of the oven. 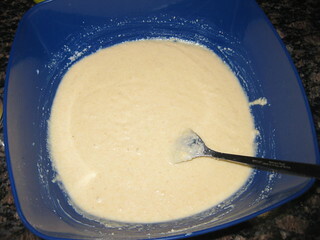 Stir sugar,cornflour and water into a small sauce pan until sugar dissolved.Bring to boil.Reduce heat and allow to boil for 5 minutes.Add lemon juice and rose water.Set aside to cool. 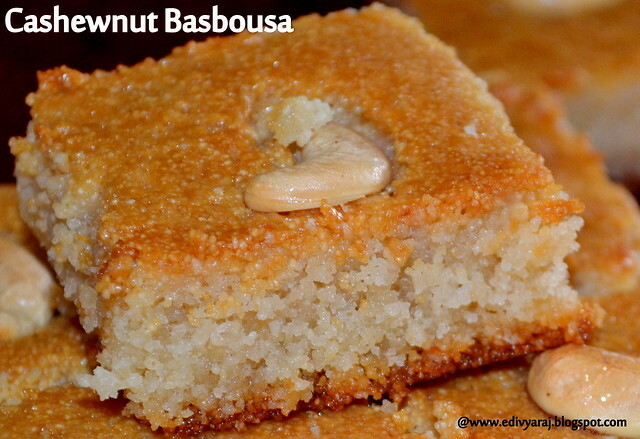 When the basbousa is done in the oven,take it out using your oven mitts.Pour the sugar syrup all over the hot basbousa .Cool and take out cakes from the baking dish using a metal spatula.Serve and enjoy.